The Syrian rebellion, on Oct. 5, took over areas of Tel al-Hara, near Nawa, a major town twenty miles north of Deraa City, which is a strategic gateway to the road networks that keep the Assad regime alive in Deraa Province. The videos (1/2/3) showed FSA-branded rebels like Liwa al-Furqan and Jabhat Thuwar as-Suriya (the Syrian Revolutionaries’ Front) in control. Jabhat an-Nusra, the Syrian branch of al-Qaeda, had an important presence, but it was not dominant. So this seemed like good news on its own terms. Putin’s Russia’s being Assad’s key international backer was no secret. Three times Moscow used its veto on the U.N. Security Council to shield Assad even from condemnation. Russia also orchestrated the chemical weapons “deal” in September 2013 that spared the Assad regime airstrikes for its chemical massacre at Ghouta and gained the regime a measure of legitimacy in the West, which became a de facto partner of the regime in the removal of those weapons. Russia’s “aid has been critical to the regime’s sustainment,” and there have long been hints that Moscow’s shoring-up “critical capabilities” for Assad was a more hands-on job than diplomatic protection and weapons donations. There was then the still-unclear case of the Russian mercenaries who were revealed to be in Syria in November 2013. By all accounts this was not a Kremlin initiative and indeed ran somewhat contrary to Putin’s interests right at that moment when he had shattered the Obama administration’s Middle East policy. Egypt’s military had just liquidated the elected government and massacred those who protested about it, the “Arab Spring” on which Obama (partly) bet had run aground, and now President Obama had let the proxy regime of America’s regional foe, Iran, off the hook because he hoped to win good-will from Iran for a nuclear deal he was working on in secret from all of his allies. The Kremlin saw a chance to make clear that it would be a real backer: it would (if the cash was supplied upfront) supply the weapons and diplomatic protection right to the end, not like Obama did with Hosni Mubarak. But if Vladimir Putin was now the go-to guy for getting a problem solved in the Middle East—and even the Saudis thought he might be—then he couldn’t brook off-the-books operations from blundering amateurs with connections to his security agencies. By December 2013, Russia was running drones “around the clock” for the Assad tyranny to not only track and analyse the rebels, but target them with airstrikes. These recent revelations are also not the first about Russian SIGINT facilities in southern Syria. In February 2012, the Washington Times reported that Moscow had upgraded a surveillance facility south of Damascus—i.e. Deraa or Quneitra (Golan Heights)—that had been “able to monitor air traffic in Israel as far south as Tel Aviv, as well as northern Jordan and western Iraq,” so that it could now spy on communications in “all parts of Israel and Jordan and as far south as the northern part of Saudi Arabia.” Nor is this facility—likely the facility now in rebel hands—the only one the Russians are believed to have in the area. Beyond these specifics, the regime’s entire strategy is modelled on a KGB-perfected tactic: provocation (provokatsiya), which aims to have your enemies do your work for you by discrediting themselves with violence against civilians and other cruelties, isolating them from the civilian population and allowing them to be destroyed. In the Syrian context, provocation means destroying the nationalist rebels and having the Islamic State (I.S.) become dominant in the insurgency, then making the local population and the world choose between the Assad regime and the takfiris, sure they will choose the former and hopeful that Assad might even get Western help in putting down the insurgency. There is good evidence that there are infiltrators of the Syrian intelligence services (the mukhabarat) in the I.S. and Nusra to guide the jihadists into discrediting themselves, but many of the Assad regime’s methods of building up the jihadists and destroying the moderates have been more subtle. However in the two previous cases where this strategy of forcing a binary choice between a cruel tyranny and a takfiri opposition has been done before, namely Chechnya and Algeria, infiltration was a major part of the regimes’ counter-terrorism policy. 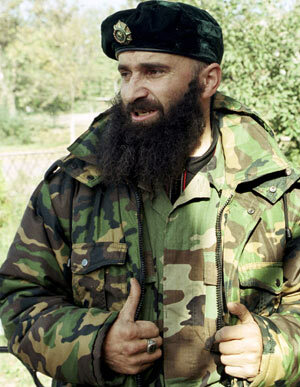 In Chechnya, the Russians thoroughly penetrated the insurgency to such an extent that Shamil Basayev, Emir between 2003 and 2006, was described as “a GRU staff member with a great deal of work experience.” The Algerian regime if anything outdid the Russians, taking control of the Islamist insurgency and directing it to wholesale massacre that the Islamists took loud “credit” for. Shamil Basayev’s role in the Chechen jihad goes back to the early 1990s. With his brother, Shirvani, also a GRU agent, Shamil led attacks into Abkhazia in 1991-92 that were co-ordinated with Moscow, which was wary at that time of an overt attack into Georgia, but which nevertheless maintained designs on the province. In 1999, a month before the apartment building bombings that the Russian internal security agency, the Federal Security Service (FSB), stands accused of orchestrating, and which at the very least the FSB knew of and did nothing to stop, Basayev led a jihadist incursion into Dagestan. In doing so, he got his weaponry from GRU stocks in Moscow, not secret mujahideen caches in Chechnya, according to Boris Kagarlitsky. The Chechen nationalists have long had a fraught relationship with the jihadists, feeling that the holy warriors not only discredited the independence struggle with fanaticism and atrocities, but that they did this deliberately and at the command of Moscow. 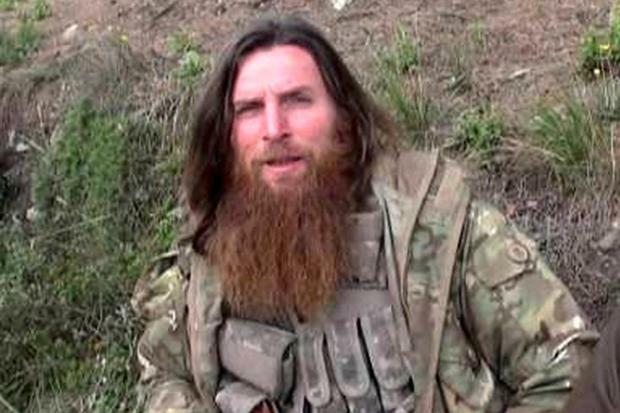 When Movladi Udugov, an important leader of the Chechen jihadists, declared the Caucasus Emirate in October 2007, framing in the Western mind the Chechen insurgency as a globalist-jihadist phenomenon, rather than a localist-religio-nationalist one, nationalist Chechens asked only that it be considered “who could benefit from the provocation entitled the Caucasus Emirate.” Vladimir Putin could present his struggle for mastery of Russia as a part of the War on Terror. Before this statement, “most Americans did not regard the Chechen resistance as part of the global terrorist movement.” Basayev’s successor between 2007 and 2013, Dokka Umarov, was accused of being an FSB agent, including by the exiled nationalist leader, Akhmed Zakayev. Just as the Syrian resistance has notably suffered more from the Islamic State than Assad has, the Chechen resistance suffered more from the Salafi-jihadists than Putin did. In both cases the rebels suffered direct repression from the jihadists and were left alone by the “international community” to fight a merciless regime because the holy warriors tainted their cause in Western perception with terrorism. There is also the matter of Russia’s relationship with al-Qaeda’s leader, Ayman az-Zawahiri, who is at least the spiritual leader of a large contingent of the Salafi-jihadists in Syria. In December 1996, while trying to meet with the Chechen jihadists, Zawahiri was arrested by the Russians. Zawahiri was at this time the leader of Egyptian Islamic Jihad (EIJ), which was implicated in the assassination of Anwar Sadat, a man the Soviets utterly hated. The KGB had tried to topple Sadat through “active measures”—including but not limited to saying he was a Hitlerite, an agent of the Jews, and that he could no longer satisfy his own wife—and the increased sponsorship of oppositionists, which included not just Communists but the Egyptian Muslim Brotherhood and the EIJ. Zawahiri was let go in May 1997—with all his possessions—and allowed to meet up with Ibn al-Khattab (a.k.a. 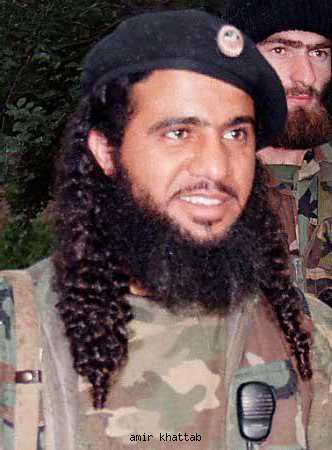 Samir Saleh Abdullah as-Suwailem), a Saudi who was a leading figure in the Chechen jihad. Not long after that, in February 1998, Zawahiri issued a fatwa with Osama bin Laden declaring war on the United States, which set al-Qaeda on the road to 9/11. As Fouad Ajami pointed out, it was Zawahiri “who opined that it was right and permissible, nay obligatory, to strike at the far enemy in an attempt to bring down the Arab tyrannies.” The bombing of the U.S. Embassies in Africa in August 1998 that were the fruit of this reorientation convinced Khaled Sheik Muhammad of bin Laden’s seriousness about targeting America, and he moved to Kandahar to work with al-Qaeda “core” on the “Planes Operation”. This was rather against the grain for EIJ. In June 2001, when Zawahiri merged his EIJ into al-Qaeda, many senior EIJ members broke with him because theirs was a “national-revolutionary agenda“. They only came back into the fold after 9/11 when al-Qaeda was under assault from the Crusader-Jewish alliance. Up to 1,000 Chechens and Dagestanis have made their way to the Fertile Crescent for jihad, a migration that has significantly lessened Russia’s internal terrorism problem and had an important impact in Syria and Iraq because the Caucasus jihadis are professionalised and militarily effective in a way most of the rest of the foreigners are not. Put crudely, the I.S.’s military strength comes from the remnants of Saddam Hussein’s military-intelligence apparatus and the Caucasus’ Salafi-jihadists. I.S.’s leader, Abu Bakr al-Baghdadi, has two main deputies, Abu Muslim al-Turkmani in Iraq and Abu Ali al-Anbari in Syria, both of whom come from the upper echelons of Saddam’s military. When Baghdadi took over the I.S. in 2010, it was a foreign-led organisation in Iraq—as Nusra is now in Syria. 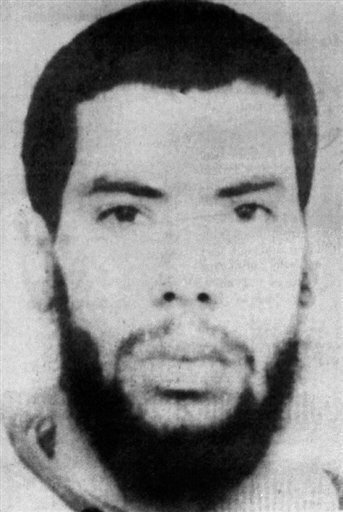 Baghdadi undertook a vigorous campaign of “Iraqization,” which included “an assassination campaign against any of his commanders suspected of potential disloyalty” that placed the I.S.’s military command in the hands of men “Baghdadi knows and trusts intimately.” Hisham al-Hashimi, the foremost expert on I.S.’s internal structure has noted that the foreign Arabs and Westerners who join the I.S. tend to be used in the media and shari’a departments. In other words, most of the foreigners spend most of their time taking selfies and distributing hashtags. Take Iftekar Jaman, an important British I.S. facilitator: he was killed in his very first operation in Deir Ezzor in December 2013. One of the men Jaman helped get to Syria, Mashudur Choudhury, became the first Brit convicted of Syria-related terrorism offences after I.S. sent him home after three weeks. He had gotten “really scared” after a jihadist fired at him in a mock training exercise. I.S. accepts Euro-trash, calcified killers from the Caucuses, ex-Ba’athists, and sadists, criminals, and psychopaths of all hues, but Choudhury didn’t make the cut. Ouch. The only people who do appear to have made the cut into I.S.’s inner-circle are the Chechens. Abu Omar a-Shishani (real name: Tarkhan Batirashvili), a former Georgian military officer born to an Orthodox family who was radicalised in prison and came to Syria in 2012, was reported in July to have become I.S.’s overall on-the-ground military commander. Batirashvili and his men are regarded as one of the most terrifying forces even in the traumatised landscape of Syria. jihadist group in Dagestan in 2008. Margoshvili has led Jund a-Sham, based in Latakia, since he entered Syria in 2012. 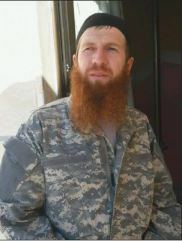 A third, minor, Chechen commander was Sayfullah a-Shishani, who was killed on Feb. 6 during the storming of Aleppo Central Prison. Sayfullah was dependant on the Margoshvili-Qaeda forces. Given the significance of the Chechens in “Syraq” it is an important question where their allegiances lie. 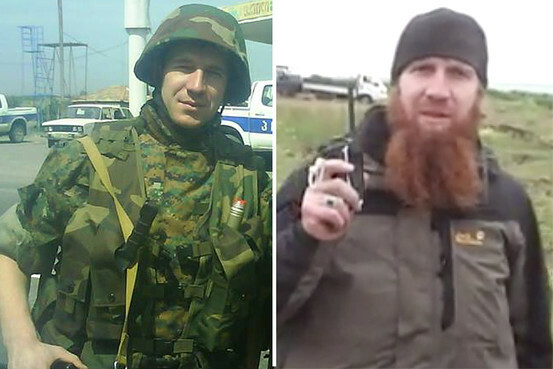 Put simply: How many Chechen jihadists in Syria and Iraq are under Moscow’s sway? The Chechens are ostentatiously frightening, even among the takfiris, discrediting the insurgency locally and internationally, making Assad look like the lesser evil. Some of the Chechens’ military effectiveness surely comes from the long struggle against the Kremlin. Just as surely some of it comes from long experience for the Kremlin. John Schindler pointed out recently that the role of intelligence agencies in manipulating terrorist groups is an old story, though few seem to notice. The Assad regime and its Iranian and Russian backers bet from the start on portraying the insurgency as jihadist, and the regime then certainly took steps to try to make it so. Iran has a long record of using al-Qaeda and its Zarqawi’ite offshoot to further its ends, including allowing al-Qaeda to finance its fighters in Syria ostensibly against Assad. Iran has faced repeated accusations of directly infiltrating the Islamic State. The likelihood that Russia—the inventor of most of these tactics and certainly the master at using them—isn’t involved in them inside Syria seems vanishingly small, especially when the bulk of the work, namely recruitment of reliable and time-tested agents, was already done. It’s especially important to clarify this now as serious people propose that Assad, Iran, and Putin are our allies in the fight against Islamic terrorism. If it turns out that these putative enemies of jihadism have not only an interest in, but are taking an active part in, making the terrorism problem worse, it might be worth reconsidering the present drift of Western policy; it would mean the view of Assad and his backers as undesirable but unavoidable allies against jihadism is exactly wrong. This entry was posted in Russia, Russian Provocation, Syria and tagged Abu Ali al-Anbari, Abu Bakr al-Baghdadi, Abu Muslim al-Turkmani, Abu Omar al-Shishani, active measures, al-Qaeda, Algeria, Ayman al-Zawahiri, Ayman az-Zawahiri, Bashar al-Assad, Caucasus Emirate, Chechens, Chechnya, chemical weapons, Département du Renseignement et de la Sécurité, Egyptian Islamic Jihad, Fadel Ahmad Abdullah al-Hiyali, FSB, Ghouta, GIA, Golan Heights, GRU, IDF, Iftekar Jaman, Iran, Iraq, ISIS, Islamic State, Israel, Jabhat al-Nusra, Jabhat an-Nusra, Jabhat Thuwar as-Suriya, Jund a-Sham, Jund al-Sham, KGB, Khaled Sheik Muhammad, KSM, Marie Colvin, Mashudur Choudhury, mukhabarat, Murad Margoshvili, Muslem al-Shishani, Muslim al-Shishani, Omar al-Shishani, provocation, provokatsiya, Remi Ochlik, Russia, Saifullah al-Shishani, Salafi-jihadists, Samir Saleh Abdullah al-Suwailem, Samir Saleh Abdullah as-Suwailem, Sayfullah al-Shishani, Shamil Basayev, Shirvani Basayev, SIGINT, SRF, Syria, Syrian Revolutionaries' Front, Tarkhan Batirashvili on October 21, 2014 by KyleWOrton.